Our website performs best with Internet Explorer 8.x or above, or Firefox 32.x or above, or Chrome 32.x or above. Some features may not work properly if you are using a different browser, and checkout will not be possible. Our website uses pop-up windows to enhance your shopping experience. Please turn off any software that disables such windows, so that you will be able to shop. 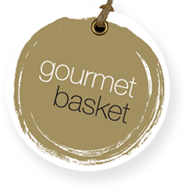 In order to use the Gourmet Basket Website, your Web browser must be set to accept cookies. To set your browser to accept cookies, look under “Preferences” or “Options” in your browser.